Beachside is a two bedroom fully self contained upstairs apartment situated in a quiet block of four units. Beachside is only 50 metres to patrolled beaches and cycleways which run south to Shellharbour and north to Wollongong and is located 1km to Lake Illawarra. Beachside is fully self contained and can sleep five people in two bedrooms both with queen beds plus a single bed in an alcove in the lounge area. 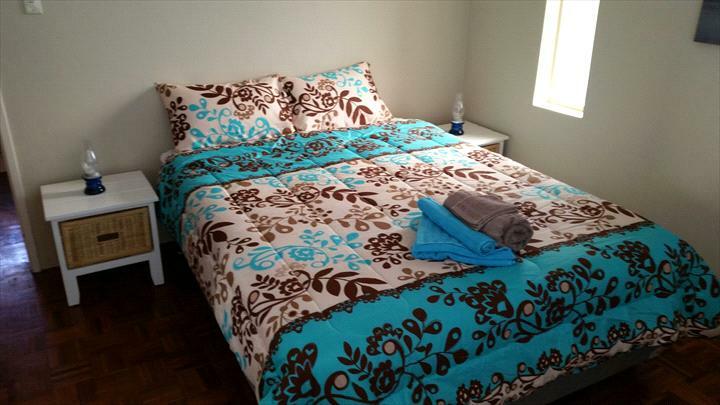 Loungeroom, kitchen/dining, access to the balcony, a combined bathroom/laundry with separate toilet, off street parking. Early check-in and late checkout can be arranged. 2 bedroom self contained apartment with 2 queens beds and 1 single bed in the lounge area, kitchen, lounge, dining, combined bathroom laundy & separate toilet. For cancellation within 48 hours from date of arrival 50% of the total booking cost will be charged. If its within 24 hours no refund will be provided. A security deposit of $200 for stays of 3 nights or less. A security deposit of $500 for 4 nights or more is required to be paid by cash on arrival. (EFT payment by negotiation). Cash refunds will be provided on checkout. This property has a no party policy excessive noise wont be accepted and could result in termination of your stay without a refund.